There were three distinct fashion trend worlds within the show, Tailored, Bohemian and Avant-Garde including collections from Reiss and Amanda Wakeley, and the hair needed to compliment each theme perfectly. The KMS Hair Team included KMS Art Team members Ahkeem Yussuf (from Elements in Teddington), Nicola Smyth (from Nicola Smyth salon in Leamington Spa) and Luke Jennings (from Burlingtons in Birmingham). 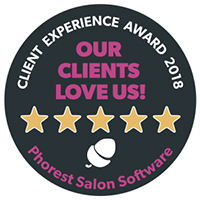 Plus 4 stylists from Cienté salon in Berkhamsted including salon owner Trisha Buller, and Toni Perryman from Chair Hairdressing in Buckingham. The bohemian section gave way to a looser, more free-spirited look. Hair was crimped in random sections then plaited from the sides and through the top as inside out fishtail braids that met loosely at the nape. Texture and volume were key to getting this look right. This look was taken from the KMS “Dressing the Hair” course, and the style has been a huge trend throughout 2012. The KMS Hair Team were given artistic license in the Avant Garde section to create whatever they felt would complement the clothes. The stylists opted for voluminous looks with lots of candy floss texture at the back, with the front of the hair pushed back off the face. The result was beautiful and urethral yet cutting edge. The 30 models used a sweeping escalator in the centre of the venue as their runway, and commanded attention as the 400 guests gathered around to admire the show. Surrounded by iconic Mercedes Benz cars, high fashion and glamorous guests, the captivating fashion show topped off a fantastic celebratory evening. KMS California is a contributor to the Mercedes Benz Club 60th Anniversary commemorative book, which is available at all Mercedes Benz dealerships. Bringing innovation, fashion and technology together, the two brands have many similarities. For more information about KMS California please visit www.kmscalifornia.com.